Evren has an active performance schedule throughout the US and has performed in concert halls, festivals, colleges, galleries, churches, schools, parks, nature and community centers, weddings, clubs, charitable and environmental events, radio programs, local and national television, the Southwest Museum, Laguna Art Museum, Getty Museum, Mashantucket Pequot Museum, Bowers Museum and numerous private events. He has been featured, among others, in National Geographic's WORLD Magazine, News from Indian Country, Time for Kids, Students News Network, "Inside Edition," Scholastic Magazine, New Age Journal, Body and Soul Magazine and national and international newspapers. In 2005, Evren performed in Valdez, Alaska, and Glastonbury, England; in the spring of 2006, Evren gave full solo concerts in Heusden-Zolder, Belgium, and Berlin, Germany. ?Images of Winter,? 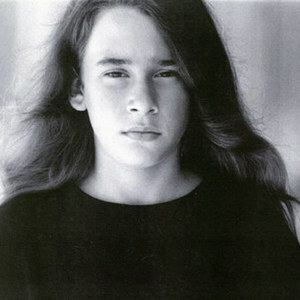 Evren's first album, was recorded when he was seven years old at Possum Hall Studios in New Hampshire. It was released in the summer of 2001, and in October of that year, Evren was a featured performer at the Native American Music Awards and recognized as ?Rising Star.? ?As Things Could Be? was recorded at Possum Hall Studios when Evren was nine, and has received widespread national and international radio play, as well as favorable reviews and recognition by Backroads Music as one of 2003's best instrumental albums. Evren received a second ?Rising Star? from the Native American Music Awards in February, 2005, for this album nominated in the ?Best Instrumental? and ?Best New Age? categories. "Alluvia" was recorded with producer Mac Ritchey at Possum Hall Studio just before Evren's 13th birthday, and independently released in November, 2006. This album has been described as contemporary Native American flute with world instrumentation (please see reviews). Shortly after release, "Alluvia" was named one of the "Twelve Best New Age/World Fusion Recordings of 2006" by New Age Reporter.com, and in the fall of 2007, "Alluvia" won "Best Instrumental Recording" from the Native American Music Awards." Evren has had the honor of performing with several world-class musicians, and receiving gifts from renowned flute makers all across the country. His music is heard on award-winning independent films and he has accompanied professional dance companies performing to his music. Evren is also heard on other albums, most notably a winter solstice album released by Silverwave in 2003, and a collaborative meditation album recorded at Possum Hall Studios in the summer of 2004, when Evren was 11. Additional biographical details, reviews, sample press, photos, and music sound samples may be found on his website www.ozanmusic.com. Originally from Massachusetts, Evren lives in southern California and is active in the regional flute circle. His other interests include skateboarding, radio controlled model plane flying, and spending time with his friends and his black Lab, Belle.